First, “never say never” when treating patients with vision problems. Second, when everything else fails, remember those ‘survival guide’ lessons your parents taught you as a child. Both Dr. Krajnyk’s medical training at an elite northeastern university and the simple wisdom of his blue-collar New Jersey parents would come into play when the young ophthalmologist was confronted with a case of blindness other doctors had determined was hopeless. The eye operation was performed- and the young surgeon’s persistence paid off. When the patient returned the next day for a post-surgery examination, his vision had been restored to 20/20, said Dr. Krajnyk, who owns Precision Eye Institute at 2568 S Ridgewood Ave in Edgewater. After graduating from medical school at 25, the newly-minted doctor began his ophthalmology residency at the Warren Alpert Medical School at Brown University, training under some of the top eye surgeons in the northeast. But he is also quick to credit his parents, immigrants from Poland, for always encouraging him to aim high and be persistent in life. Ten years after finishing the ophthalmology residency, the 35-year-old physician had performed more than 2,000 cataract procedures and more than 4,000 laser surgical procedures. In medical terms, Dr. Krajnyk is proficient in advanced small incision cataract surgery and premium astigmatism correcting and multifocal implants. Between 2012 and 2015, Dr. Krajnyk was an ophthalmologist for Kutryb Eye Institute and bought the Edgewater office in January 2016. 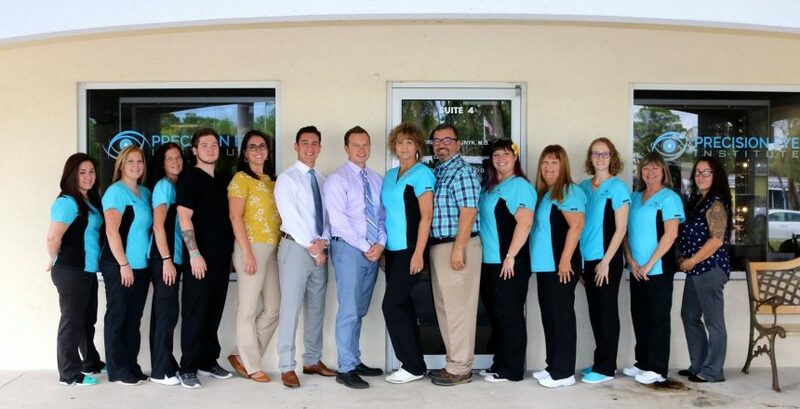 Since then, the practice has enjoyed steady growth and will open a second office in September 1 in New Smyrna Beach at 424 Luna Bella Lane, Suite 127, in Tuscany Square of Venetian Bay. Dr. Krajnyk, who is Board Certified by the American Board of Ophthalmology, graduated with High Honors from Rutgers University where he was elected to the Phi Beta Kappa Honor Society. 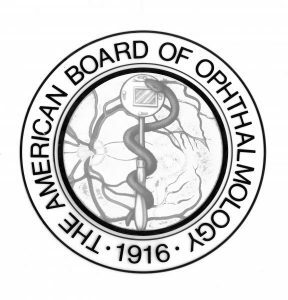 In his professional career, he has presented papers at the national meeting of the Association for Research in Vision and Ophthalmology and at the American Medical Association Research Symposium, where he was awarded honorable mention for his research. But, he says he also learns from his patients. Precision Eye Institute utilizes the most up to date technology and research, he adds. The medical doctor is married to his wife, Jessica, a fitness coach and Registered Nurse, and they have two children, a son, Luka, 6, and a daughter, Aleksa,3.